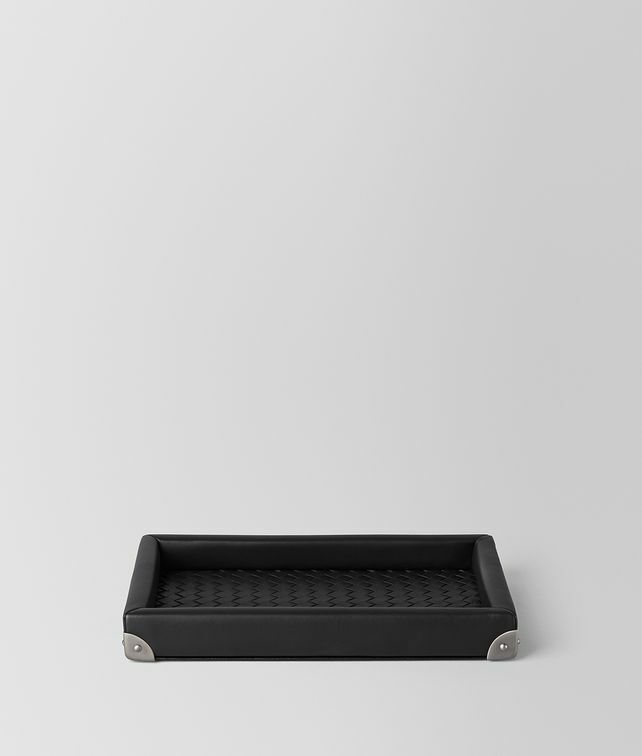 Form meets function in this rectangular multipurpose tray. The design is crafted from a combination of smooth and hand-woven nappa leather and accented with metal corners. Length: 28 cm | 11"
Height: 3 cm | 1.2"